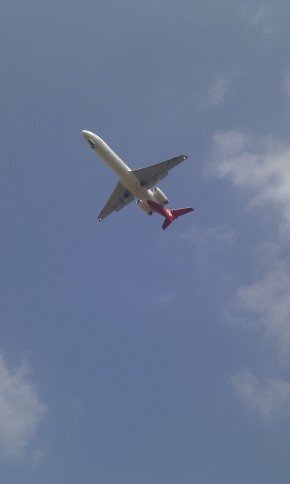 Manchester Airport Arrivals is the ultimate guide for Manchester Airport which has been created by an aviation enthusiast and Manchester resident. Manchester Airport Arrivals aims to bring you all the information you need when travelling to and from the airport. The site also offers up to date flight information, airport news and general information about Manchester Airport. Manchester Airport is the third largest in the country and the biggest in the North of England. It is situated to the South of the city Manchester just off the M56 motorway. If you are planning a trip via Manchester Airport, meeting an inbound traveller from the UK or Overseas then this site is a useful tool. If you are an aviation enthusiast or simply looking for information regarding Manchester International Airport then this unofficial guide offers all you need. There is plenty to do and to be seen on the airport complex which is often an exciting experience for children and adults alike. Manchester Airport Arrivals, the unofficial guide offers a host of information. The site has information on live flight arrivals, flight departures and destinations both UK and International. We also have a comprehensive guide to the facilities at Manchester Airport such as Duty Free Shops and places to eat and drink as well as travel tips and local airport information. If you are on an inbound flight to Manchester and looking for information on where to eat, where to stay or just how you get to your onward destination then this is the site for you. Manchester Airport is one of the busiest airports in the UK. It serves as the main international hub for the North of England. Hundreds of planes arrive at Manchester airport every week so it is important that travellers have all the information they need at the touch of a button. In a nutshell Manchester Airport Arrivals is a one stop shop for travellers using this great airport. Whether you are travelling to or from Manchester Airport, dropping passengers off for a flight departure or picking them up from a flight arrival then this website will answer any question you have. This site is by no way connected with Manchester Airport and acts as a guide only. This site cannot be held responsible for any wrong or incorrect information found on these pages. The aim of my site is to offer information and guidance in a fun and informative way. For live information on flights arriving and departing check out the pages below, they offer a live feed of all flight arrivals and departures. Flight arrivals land at all hours of the day and night and often draw in the large crowds. Crowds gather to see some of the giants of the sky land at one of the runways. As an aviation enthusiast I like nothing better than getting up close and personal to the aeroplanes at the aviation viewing park. The viewing park is a great day out for all of the family and is a must see for all plane lovers. For the more adventurous you may wish to get on your cycle and try the Manchester Airport orbital cycle route. The route takes in the perimeter fence around Manchester Airport and offers excellent views of the comings and goings at this great airport.